Buy your 2019 Annual Preference Point Issue today! If you’re a Colorado big-game hunter, now’s the time to prepare for the 2019 hunting seasons. Colorado Outdoors, Colorado Parks and Wildlife’s conservation magazine, is a valuable planning resource for hunters. 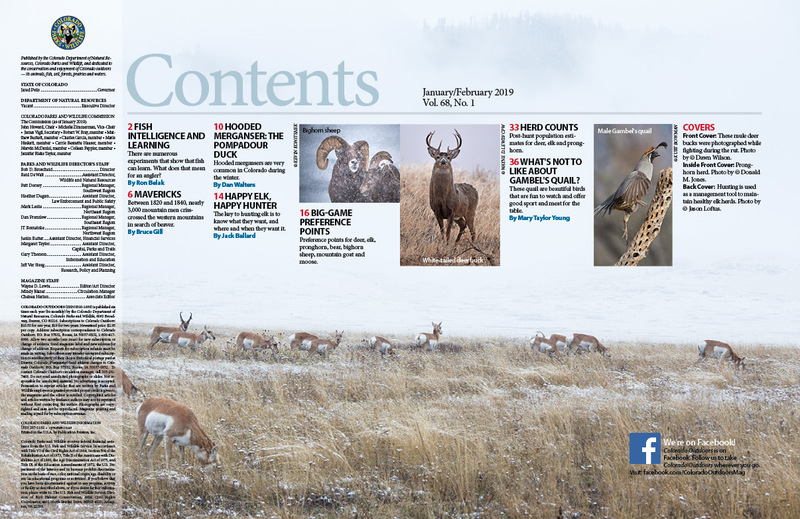 The Jan/Feb issue features big-game preference points for deer, elk, pronghorn, bear, bighorn sheep, mountain goat and moose. Hunters will also find post-hunt population estimates for deer, elk, and pronghorn in the Herd Counts section of the magazine. 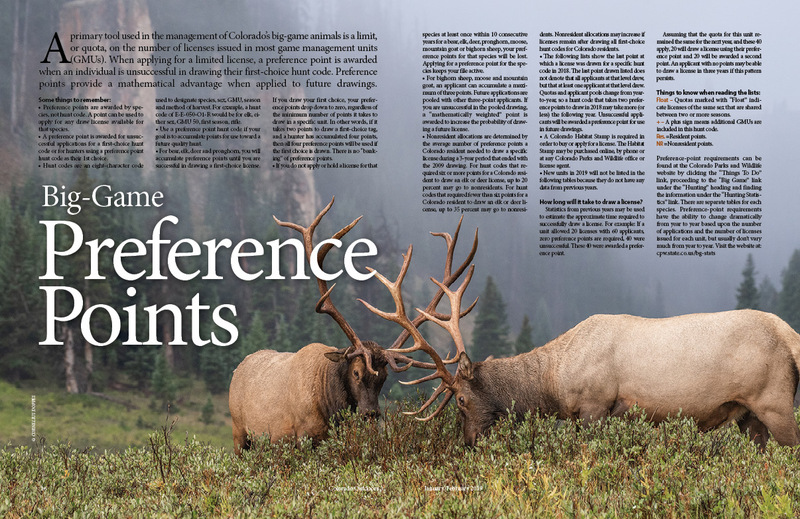 Loaded with hunting and fishing information, the Annual Preference Point Issue is a must-have item for every Colorado outdoor adventurer. View the Contents page of the 2019 Annual Preference Point Issue. Purchase the 2019 Annual Preference Point Issue today! Purchase an annual or gift subscription to Colorado Outdoors magazine online, or call 1-800-417-8986. Buy your Colorado Outdoors Vintage Cover Poster today!